This vessel had painted with very big letters Vicente Suarez on the forward quarter, so she seems clearly related with this owner. As I don't find any data about her, and having in mind the letter size not usual for a ship, maybe she was a kind of pontoon, could be for coal bunkering. All the fishing vessels were steamers, what indicates the photo time. Margara She was built on 1920 as Ville de Dannemarie. Only one year later she was sold and renamed Greatend. 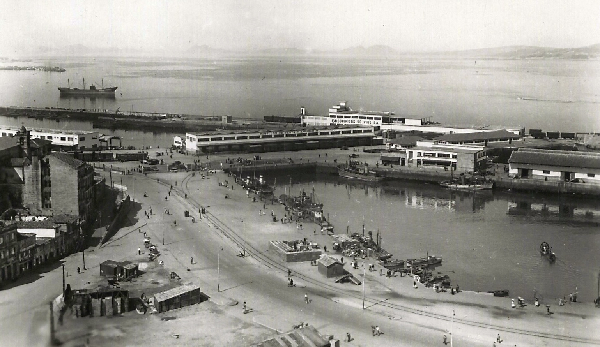 During the Civil War she was sunk at Valencia during a national air raid. 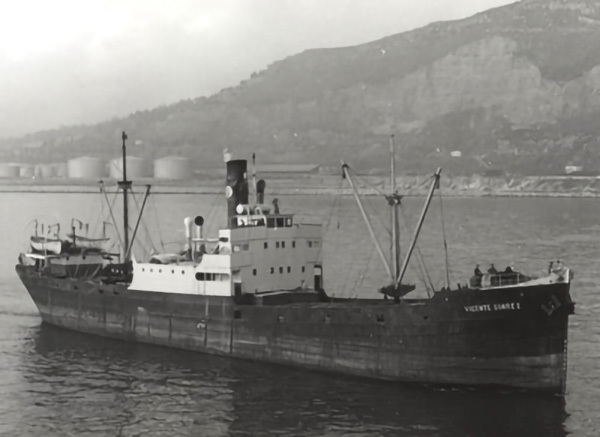 On November 1938 she was refloated and delivered to Gerencia de Buques Incautados, being renamed Castillo Noreña. 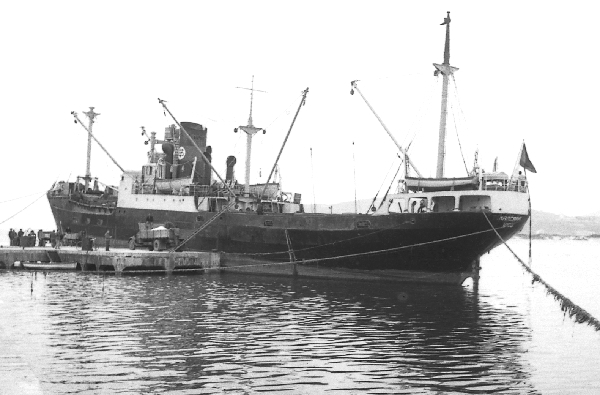 On 1942 she was transfered to Empresa Nacional Elcano. 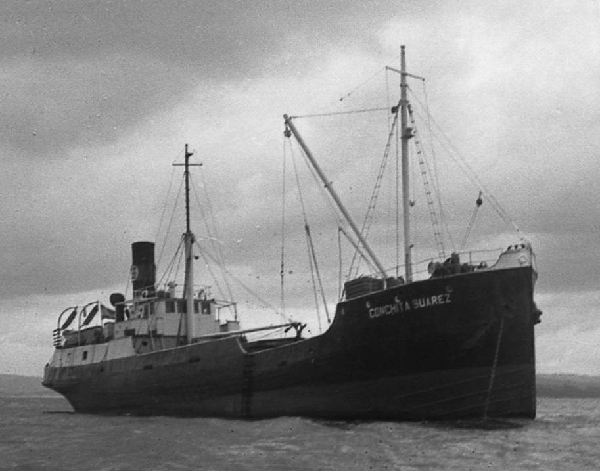 On 1960 she was bought by Vicente Suárez, and renamed Margara, name that she kept until scrapped on 1974.